The gamma-ray photoconductivities of polyethylene, polystyrene, polyvinylchloride, polypropylene, Teflon, Nylon, Kel-F, and three thermosetting resins denoted as Epoxy 1478-1, 1478-3, and 1478-22 have been measured. 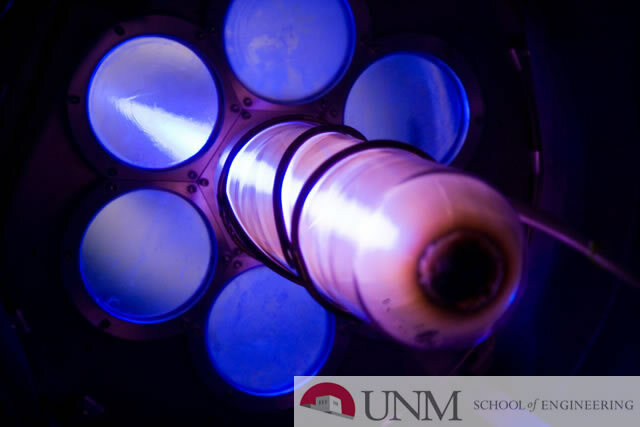 The measurements were made at steady-state gamma-ray intensities ranging from 1.0rad(H2O)/min to 3.0 x 105 rads(H2o)/min and at controlled temperatures ranging from 90 degrees Fahrenheit to 140 degrees Fahrenheit. Conductivity changes resulting from the steady-state gamma-ray exposures were measured continuously throughout the exposure and after the exposure. The exposure period was of sufficient duration to allow all samples to achieve an equilibrium conductivity value.